Getting into college is easy, but the hard part? Getting out alive. 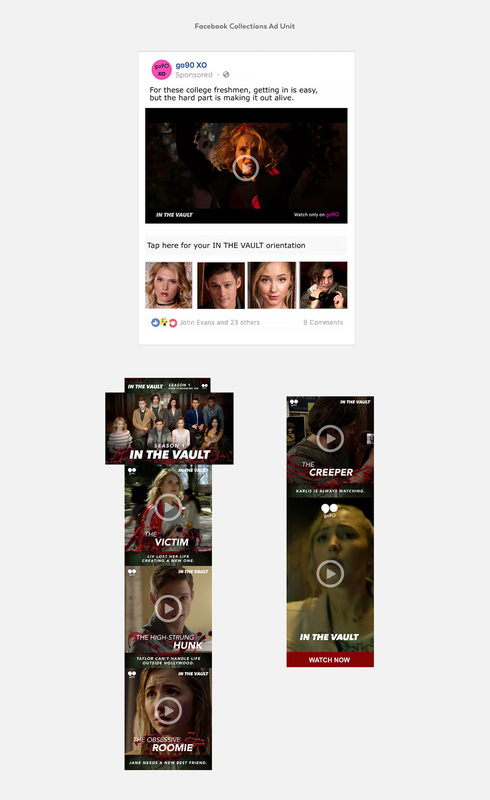 For the launch of In The Vault Season 1, we promoted the killer thriller through paid media channels to gain high viewers. The creative included key stills and clips from the show, along with a bloody treatment to entice thriller fanatics.